Guardians of the Galaxy Awesome Mix Vol. 1 debuted at No. 3 on The Billboard 200 album chart, according to Nielsen SoundScan. The soundtrack was released on July 29, 2014, and features classic 1970s songs from the film, including Blue Swede's "Hooked on a Feeling," "I'm Not in Love" by 10cc, Redbone's "Come and Get Your Love," and The Runaways' "Cherry Bomb." Guardians of the Galaxy Awesome Mix Vol. 1 also topped the iTunes' Top Albums and Top Soundtrack charts and was #1 (overall) in 22 countries. At Amazon.com, the album peaked at #2 in overall Digital Music, #5 in Music, #1 in Soundtrack and #4 in Pop. Hollywood Records, the soudntrack's label, also launched unique promotions with Shazam and Spotify for the film and soundtrack. When an audience member Shazams the end credits of the film, they are given custom experiences including details on each song and video content featuring a greeting from director James Gunn and a featurette with music moments fromGuardians of the Galaxy with commentary from Gunn and Chris Pratt on music's role in the film. The Guardians Of The Galaxy Awesome Mixtape Generator utilizes Spotify's API to allow fans to create their own Awesome Mixtape and share the playlist via their social networks. Fans can create their Awesome Mixtape here: http://awesomemixtape.marvel.com. 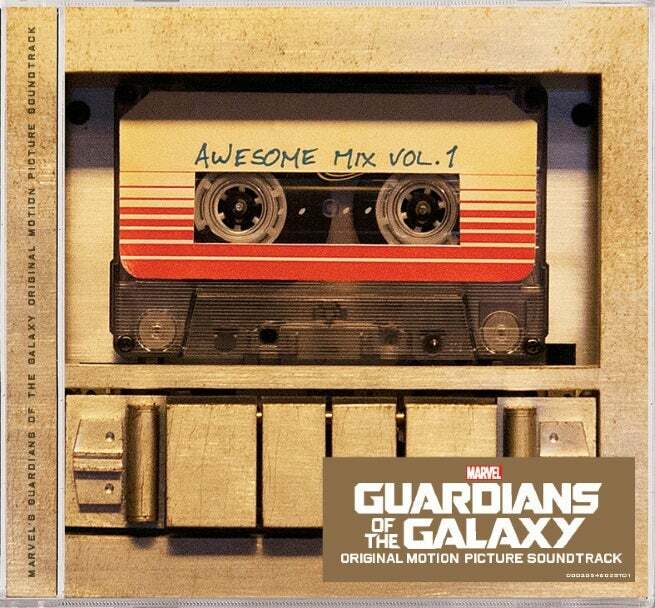 Music plays a major role in Guardians of the Galaxy, as the 1970s songs featured in the film are part of the storyline in a unique way. Explaining how the songs come to play in the story, director James Gunn says, "One of the main story points in the movie is that Quill has this compilation tape [Awesome Mix #1] that he got from his mother before she died that she made for him. It was of songs that she loved, all songs from the 1970s, and that's the only thing he has left of his mother and that's the only thing he has left of his home on Earth. He uses that as a connection to his past and to the sadness that he feels of having left all that and lost all that."